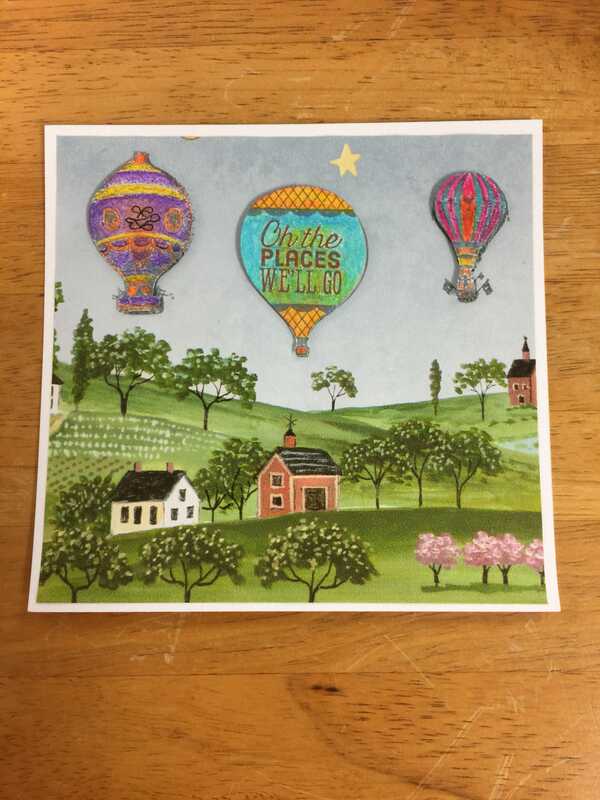 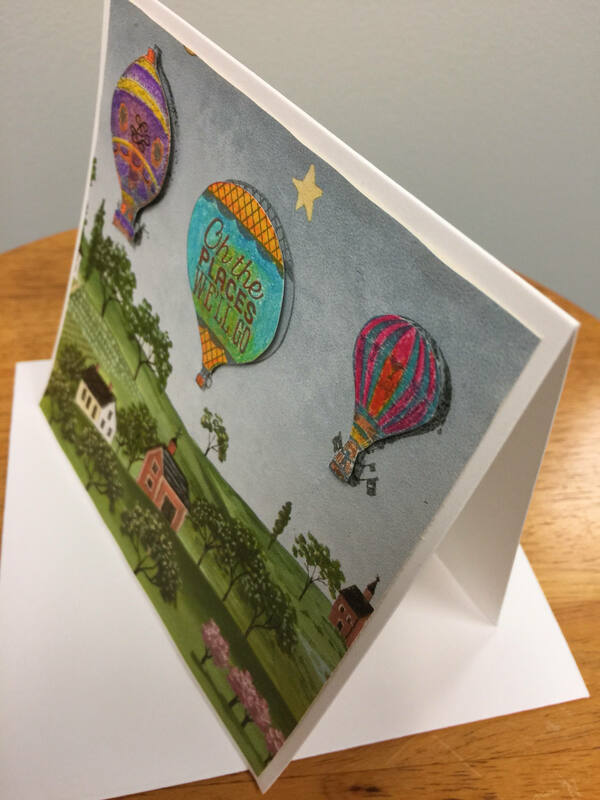 Handmade Greeting Card Up up and away in my beautiful balloon, oh, the right places we'll go! 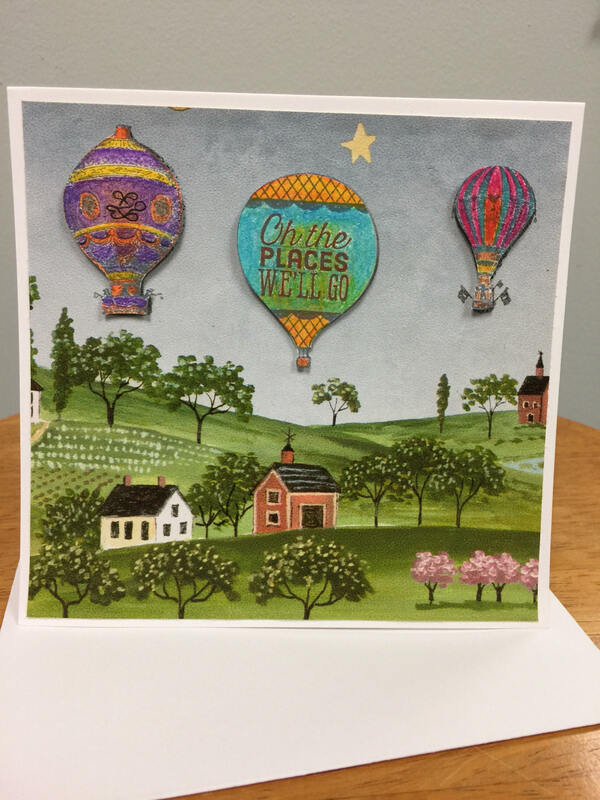 Come fly away with me in my beautiful ballon - hot air balloons soaring over the landscape. 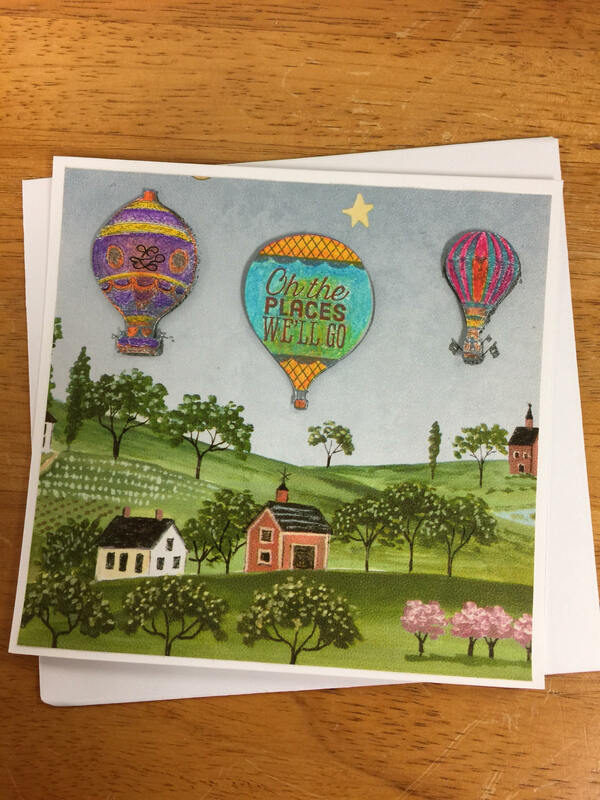 Cards come with an envelope, (occasionally I need to make my own envelope because of the card size). 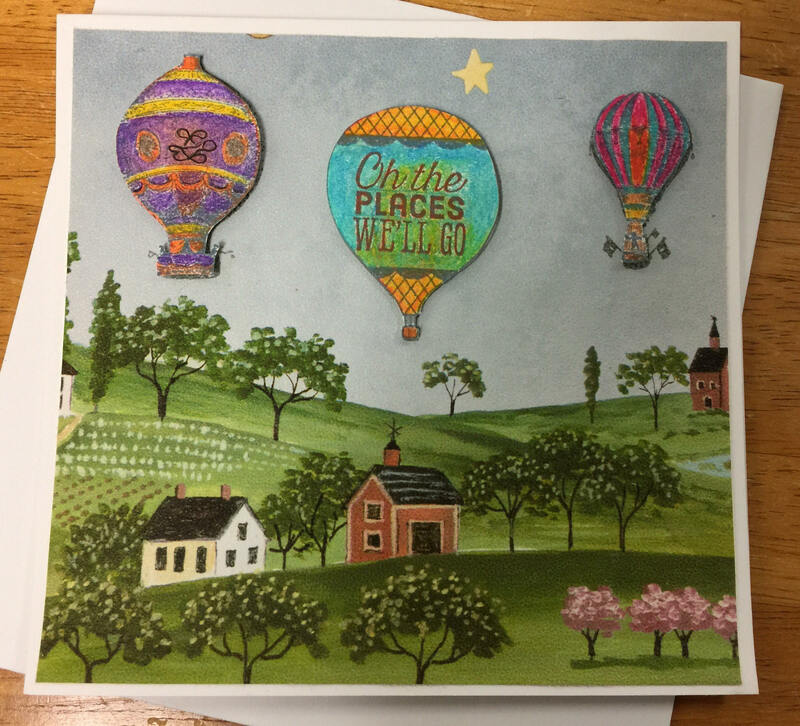 Each card is protected within a cellophane sleeve.